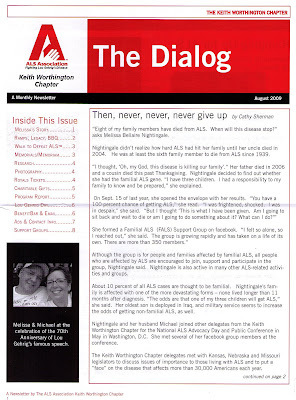 The blog features some of my published articles. 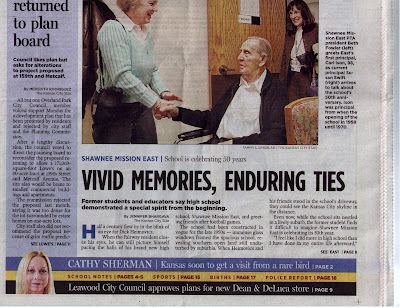 Click on the photos to view a larger, readable version of the page. 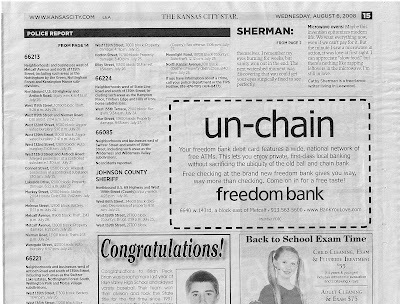 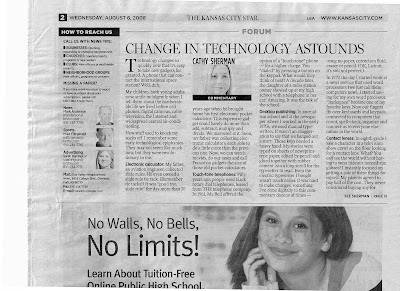 This commentary was published in some sections of The Kansas City Star on Wednesday, Aug. 6, 2008. 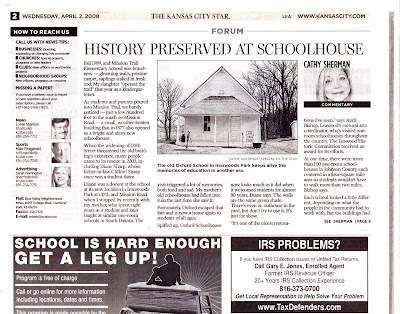 This article about the historic Oxford one room schoolhouse in Leawood, Kan., was published in the April 2, 2008, Blue Valley/Leawood edition of The Kansas City Star. 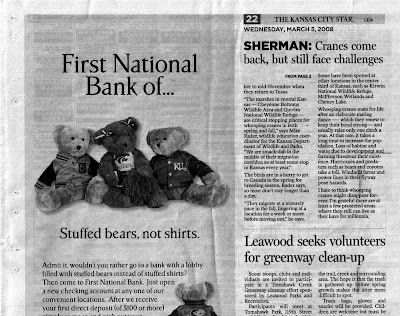 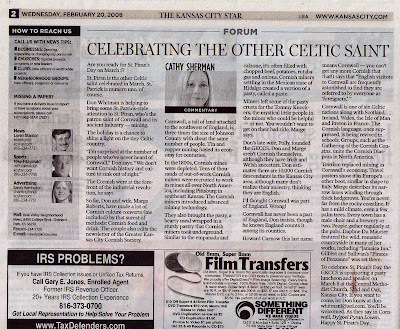 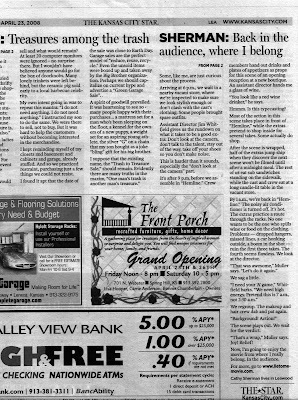 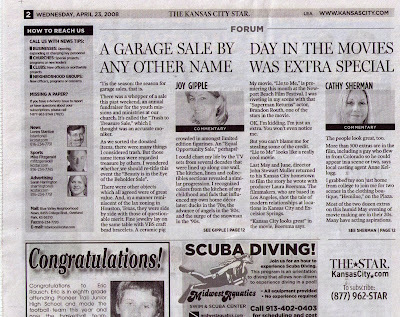 This commentary was published in the March 5, 2008, Blue Valley/Leawood edition of The Kansas City Star. 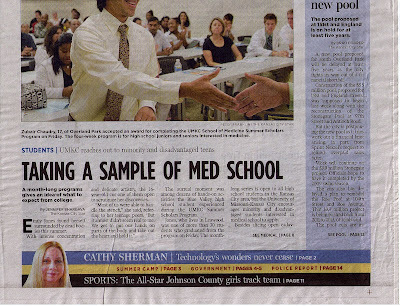 My son Matt and I were extras in the movie, "Lie to Me," in May 2007. 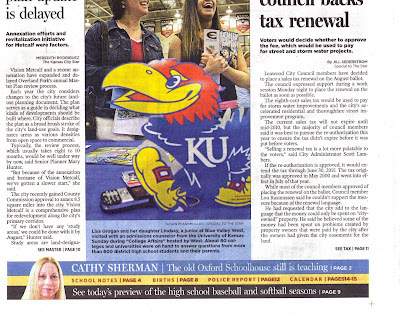 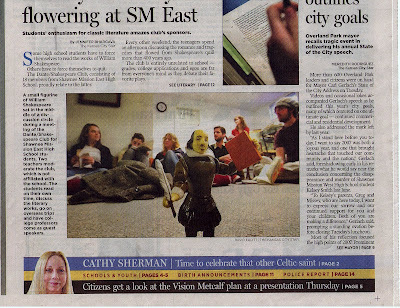 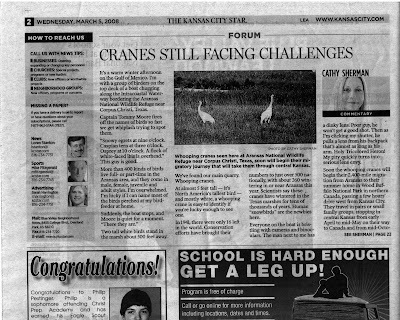 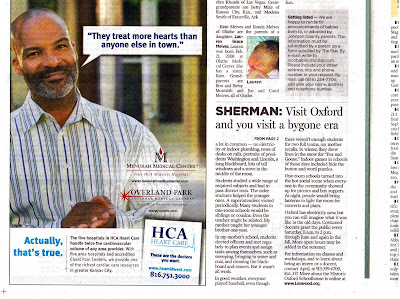 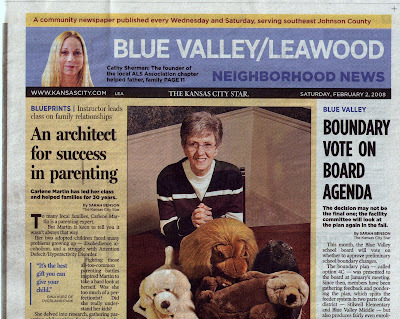 This story was published in the Blue Valley/Leawood section of the Kansas City Star on April 23, 2008. 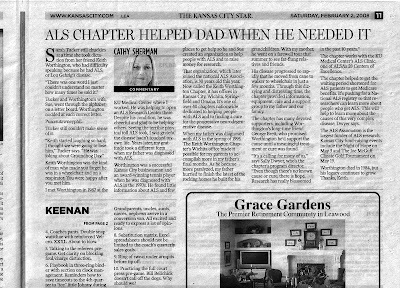 This was published in the Blue Valley/Leawood Neighborhood News section of the Kansas City Star on Feb. 2, 2008, in honor of the 30th anniversary of the Keith Worthington Chapter of the ALS Association. 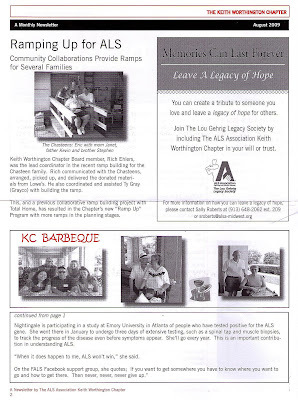 A Small Sampling of my Greeting Cards For Sale. 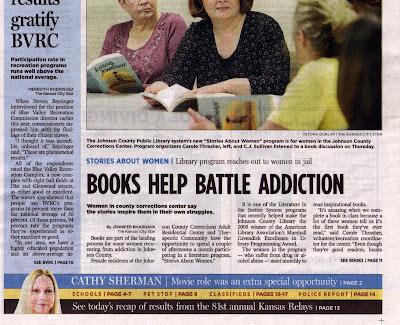 You Can See More by Entering the Site.